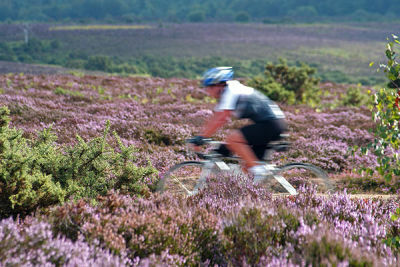 Walking, cycling, horseriding and sailing are among the best-loved activities in the New Forest. There are many miles of marked trails through the woodland and the Solent between the New Forest coast and the Isle of Wight is said to offer some of the best and most challenging sailing in the country. Other popular pursuits include walking the dog, having a picnic, watching wildlife, taking photographs, painting, fishing, kayaking and visiting pubs and tearooms. The range of visitor attractions includes museums, gardens, castles and wildlife parks. The New Forest’s towns and villages are attractive in themselves and for shopping or sampling local food and drink.